The familybag by reisenthel makes shopping with children a completely new experience and makes shopping certainly enjoyable. 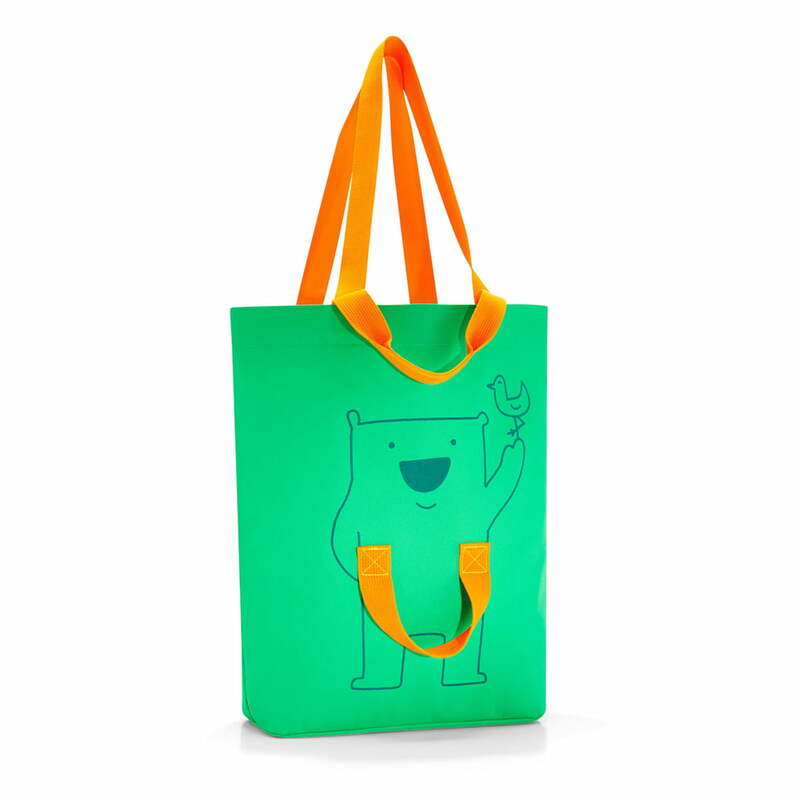 The bag in the form of a classic shopping bag is decorated with a playful bear and duck motif. However, the special feature of the bag is the additional handle on the bear’s belly. Children can hold on to it or even help to carry the purchases, just like the bear carries the little duckling. The familybag features a pocket with zip and a compartment for the smartphone. There is an another pocket with zip on the back. In total the bag has two short handles and two long shoulder straps. The bag made of high-quality polyester material is water repellent and available in various colours. Details Capacity: 18 l, with strap for the child to hold on to and to help carrying, inside pocket with zip and mobile phone pocket, large pocket with zip on the back. Individual product view of the familybag by reisenthel in apple green. The bag in the form of a classic shopping bag is decorated with a playful bear and duck motif. Individual product view of the familybag by reisenthel in summer green. The bag in the form of a classic shopping bag is decorated with a playful bear and duck motif. Detail view of the familybag by the German label reisenthel in summer green. 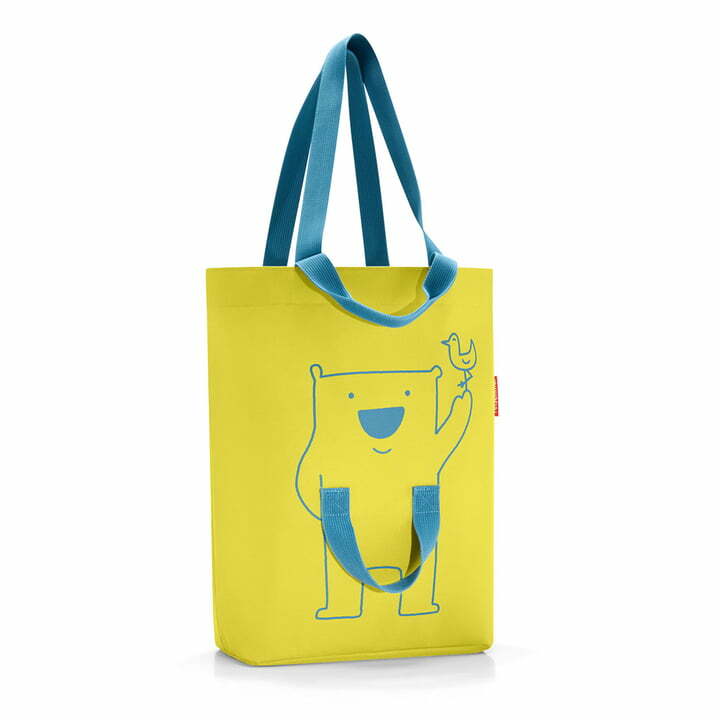 The special feature of the bag is the additional handle on the bear’s belly. Inside view of the familybag designed by reisenthel in the colour summer green. The familybag features a pocket with zip and a compartment for the smartphone. 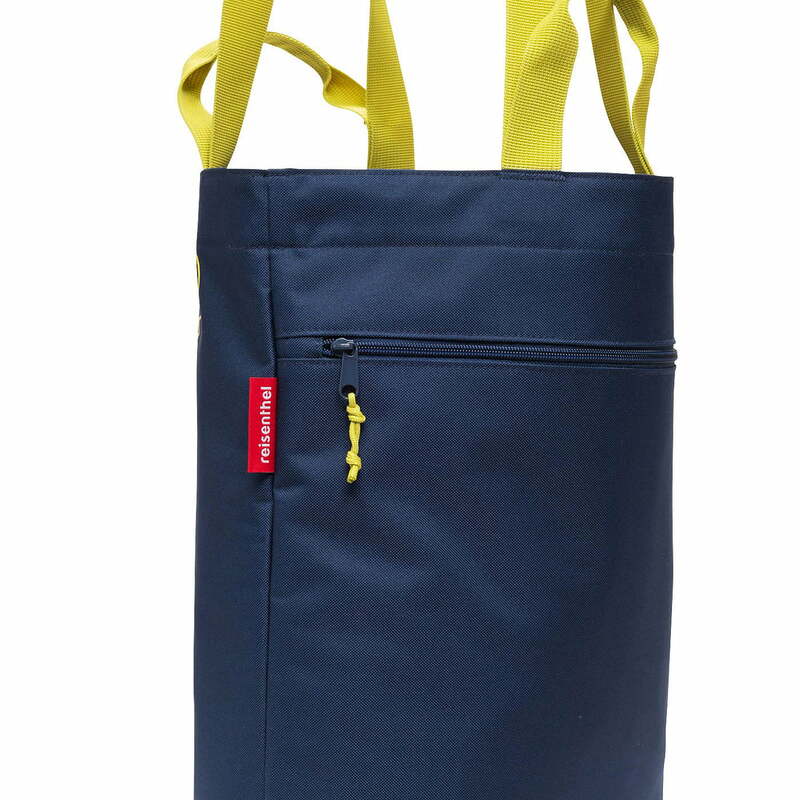 There is a pocket with zip on the back of the familybag by reisenthel in navy with yellow. In total the bag has two short handles and two long shoulder straps.